Ed Shore was born in 1932 in Knoxville, Tennessee. 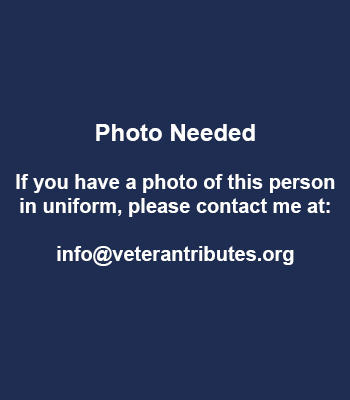 He was commissioned a 2d Lt in the U.S. Army Quartermaster Corps through the Army ROTC program on June 7, 1954, and went on active duty beginning September 14, 1954. After attending the Quartermaster Officer Basic Course, he was selected for Army Helicopter Flight Training and earned his designation as an Army Aviator in March 1956. Lt Shore served as a helicopter pilot at Fort Eustis, Virginia, from March 1956 to March 1957, and then with the 11th Transportation Company in West Germany from March 1957 to September 1959. His next assignment was as a helicopter pilot with the 90th Transportation Company at Fort Knox, Kentucky, from September 1959 to January 1961, followed by service as a helicopter pilot with the U.S. Army Data Analysis Group in South Korea from February 1961 until his helicopter was shot down over Laos and he was taken as a Prisoner of War on May 15, 1961. After spending 458 days in captivity, Capt Shore was released by his captors on August 15, 1962. He then served with the U.S. Army Transportation Aircraft Test and Support Activity at Fort Rucker, Alabama, from November 1962 to April 1963, and with the U.S. Army Aviation Test Board at Fort Rucker from April 1963 to April 1966. During this time Maj Shore deployed to South Vietnam from November 1965 to February 1966. His next assignment was with the U.S. Military Assistance Command, Thailand, from April 1966 to June 1968, followed by service with Headquarters 34th General Support Group in South Vietnam from January 1969 to January 1970. LTC Shore served with U.S. Army Material Command at the Pentagon from January to September 1970, and then with the U.S. Army Combat Developments Command at Fort Belvoir, Virginia, from September 1970 to March 1973. 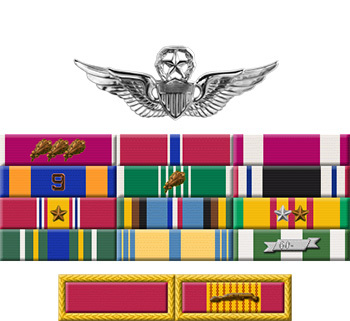 His next assignment was as Commander of the U.S. Army Reception Group Europe in West Germany from April 1973 to January 1975, followed by service as Aviation Officer for VII Corps in West Germany from January 1975 to June 1976. His final assignment was as Development Manager for the Aviation Systems Directorate with U.S. Army Material Development and Readiness Command at Alexandria, Virginia, from July 1976 until his retirement from the Army on July 1, 1980. Major Edward R. Shore, Jr., Transportation Corps, distinguished himself by exceptionally meritorious service while assigned as Chief of the Flight Branch, Avation Office, USMACTHAI/JUSMAGTHAI from May 1967 to June 1968. By virtue of his broad knowledge, intelligent judgement and determination to persevere, he molded the Aviation activities of the three services into a cohesive activity, and inspired all the aviation personnel to provide the ultimate in airlift support within the capability of the modest assets available. Through his diligent efforts, Headquarters, USMACTHAI and nineteen other units/activities realized tangible increases in the airlift support available that directly impacted upon their ability to accomplish their respective missions more effectively. In addition to the normal mission support, 243 missions were provided in support of special activities of dignitaries visiting the command during a six month period. This service proved invaluable to these persons in accomplishing the purpose of their visits. Equally noteworthy has been his efforts to improve numerous aspects of the physical plant for convenience and efficiency of passengers and assigned personnel alike. In accomplishing these outstanding actions his high degree of professionalism coupled with tact and diplomacy in dealings to a large extent with representatives of the Royal Thai Military Forces has been exceptional. Major Shore's distinguished performance of duty reflects great credit upon himself, the United States Army and the United States of America.